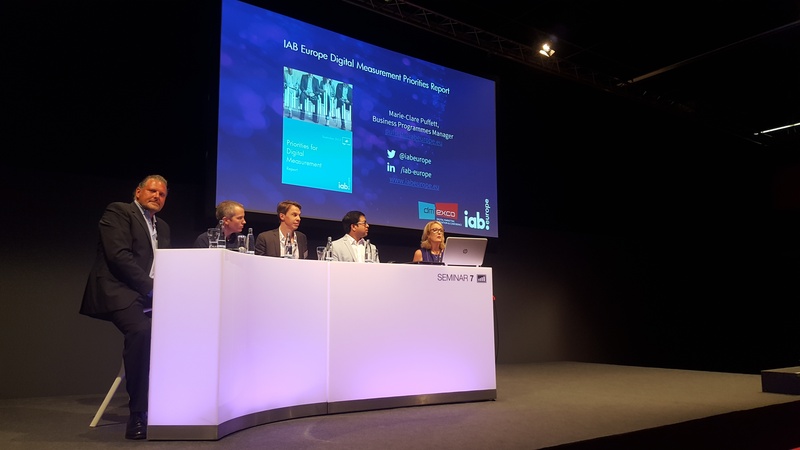 At Dmexco, the Interactive Advertising Bureau Europe (IAB Europe) launched its key points of interest for the ad tech market. IAB aims to reform current industry metrics and take ad tech to a whole new level of standardization. What this essentially means is integrating measurement into programmatic tools. In order to better understand current market trends and how the industry is predicted to be regulated, IAB brought some of the industry stakeholders together for a panel discussion to talk about latest trends and predict how the industry may be regulated down the road. Back in 2008, when the industry first started to technically measure viewability, it was more of a market research topic that received little interest. By now, it undoubtedly became one of the key concerns of the buy-side. Many advertisers don’t consider the current viewability measurement standard sustainable nor accurate. An ad needs to be viewed properly in order to be successful. Essentially, 50% means advertisers are paying for half of the ad to be displayed for one or two seconds – they can’t expect magic to happen after that. The nature of this definition has been questioned by the market many times and raised the question of what kind of viewability measurement would help to be more effective. IAB’s new initiative takes the viewability discussion to the next level. It’s no longer a KPI reserved for brand campaigns – we are talking about viewable impressions becoming ad impressions. Advertisers are demanding it and the industry is reacting accordingly. One of the principles of this initiative is its compatibility with the ‘opportunity to see’ (OTS) prospect. OTS is a measure in advertising media which denotes number of times the viewer is most likely to see the advertisement. IAB wanted to create a metric that is linking concepts of reach from different media outlets and eventually create a digital currency that is fully compatible with the OTS concept and can be used across all media. Adopting to this concept is particularly important because agencies are already shifting to the effective viewable cost per mille (eVCPM) payment method as they are eager to pay the same way for all media. What makes the topic complex are the various metrics currently being used. In today’s ad world, we differentiate effect-based metrics from exposure-based metrics. Despite the fact that advertisers are mainly interested in the effect of their advertisement (such as brand awareness or purchase attempts) paying a publisher based on these effects can be deemed ‘unfair’ because the effect is a result of the creative and not by any value-add brought by the publisher. Exposure-based viewability metrics are old-school but remain critical because it reflects the publisher’s main contribution: providing views, context, and exposure to the ad. The ad committee is currently working on the standardization of both metrics in alignment with creating a pricing model to enable cross-media measurement. Agreeing on the definition of viewability is far from finding a solution for the problem – the full lifecycle of the ad needs to be properly optimized, which requires better understanding the interaction between the media and the creative. A viewable ad does not mean it was a positive-ROI ad. The market tends to forget that the ad’s creative is crucial for the success of the campaign. If only 50% of the ad is exposed, important factors from the creative (such as the call-to-action) can be easily missed by the user. 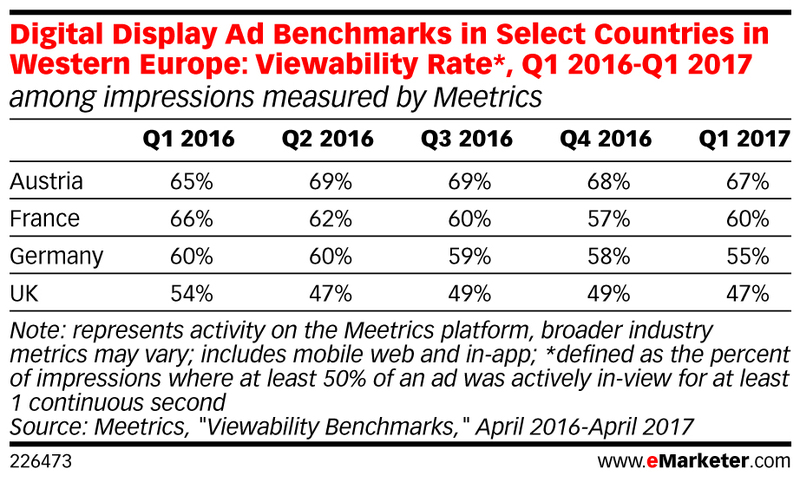 Viewability rates in Europe are 70% at best, and in most cases, are significantly lower. And even if an ad is deemed viewable, there’s still the question of fraud. According to the panelists, 10-20% of viewable impressions are fraudulent. Human recognition is an area where we expect a lot of development in the near future. Even though the happiness of advertisers is most directly in the hands of their digital agencies, essentially the publishers are the ‘producers’ of viewability and only they have the opportunity to enhance it. As the buy-side is becoming more sophisticated, they are pressuring the sell-side and the tech vendors in between to become more transparent and implement monitoring and measurement tools. In addition to the increasing market pressure, new measurement standards will require ad tech platforms to adapt to quality standards and real-time insights even at the pre-bidding stage. Back in 1999, everyone was sure that the ad is viewable, on target, and brand safe – that has majorly changed over the years. Viewability became a very complex topic that gives pause to many advertisers. Cross-industry collaboration is required to solve this problem and we all must take steps together towards a better digital advertising ecosystem. Last August, a new viewability initiative was launched by IAB Europe together with the European Association of Communications Agencies (EACA) and the World Federation of Advertisers (WFA). These entities worked with key industry committees and measurement vendors to ensure that everyone is signed up to a set of principles around viewability metrics. This initiative hopes to see the establishment of rigorous measurement standards and ensure that a minimum and consistent quality standard will be achieved in Europe. The initiative will create a certification process that will certify vendors to trade across Europe following certain measurement principles. This will enable to compare and contrast digital advertising with other media types, particularly with TV, and ultimately lead to the creation of a digital gross rating point.